Forest Garden 6 x 4 Shiplap Dip Treated Pent Shed: This garden shed features a single door which has double Z framing for added security and a single window with unbreakable polycarbonate glazing which will not yellow or go brittle over time. The shed consists of tongue and groove shiplap timber panels which are tight fitting to help keep the wind and rain out, the panels have been dip treated to provide the shed with a base treatment but it will require the application of periodic treatment to protect the shed from rotting. 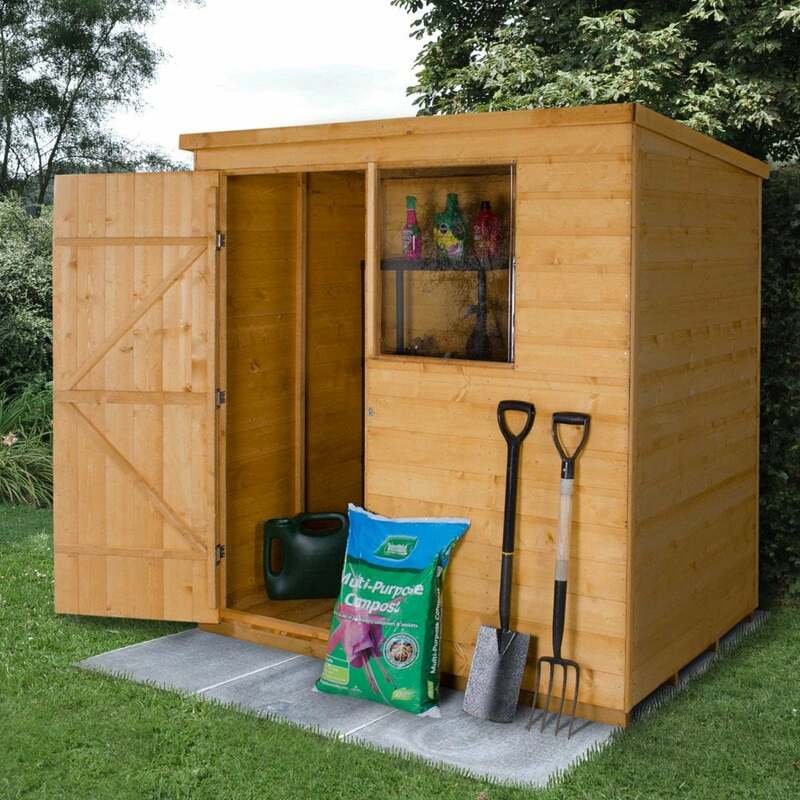 This wooden shed has secure hidden door hinges and a hasp and staple lock to enable you to keep the contents secure. The shed benefits from a durable and rot resistant pressure treated boarded floor, the shed also has an OSB sheet material roof and included shed felt to provide a water resistant finish. This shed is delivered in kit form and is designed with easy assembly in mind which should be carried out by 2 or more people. NB: The timber has been given a factory dipped treatment and guaranteed against rot for 10 years, provided that the shed is isolated from the ground and is regularly treated with a good quality timber preservative.